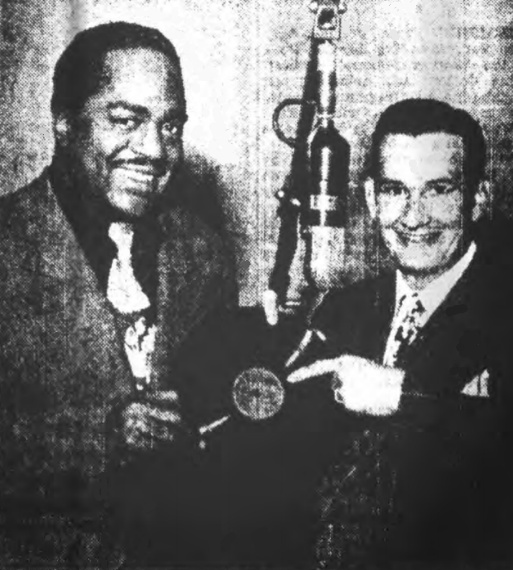 CongratsBlues shouter Jimmy Witherspoon receives congratulations from Hunter Hancock, popular Hollywood disc jockey, for his hit, "Ain't Nobody's Business." The waxing is one of the most popular tunes in the nation today. According to Supreme Records, sales have already topped the 200,000 mark.